We specialize in finding you the best price on your custom fabricated, rare and unique items. Our sourcing group has over 100 years of combined experience and are always available to help. supplyFORCE is the only national MROP service provider that can help you manage multiple commodities while delivering the local expertise and fulfillment to meet the needs of your local plant. As a member of the supplyFORCE National Accounts program, our valued customers have access to over 185 different distributors with 2,200+ stocking locations ranging in area of expertise in Construction, Electrical, Industrial, Safety, Pipe, Valves and Fittings, and Bearings and Power Transmission. 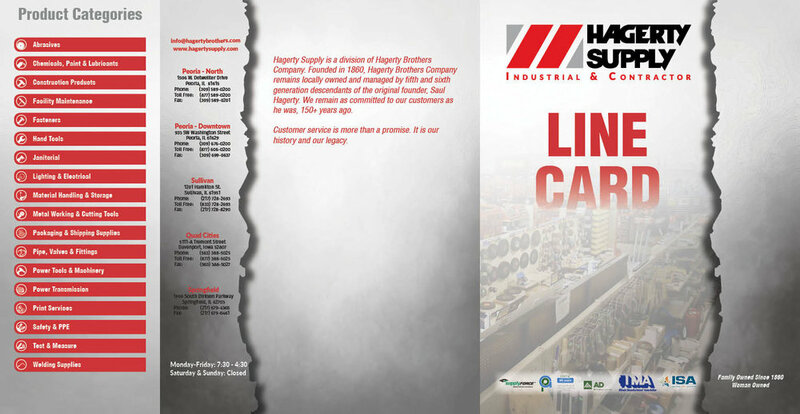 For more detailed information visit their website at www.supplyforce.com or contact your local Hagerty Supply location.